The individual arrested last week in connection with a shooting incident that resulted in a local man’s death has been scheduled for preliminary examination in Artesia Magistrate Court. Artesia Police Department officers and Artesia EMS were dispatched to the scene in the 900 block of Bullock Court at 9:03 p.m. Monday, Sept. 18, in reference to shots fired. Upon arrival, they learned a 34-year-old Artesia man was killed in the late evening hours at that address following an argument over allegedly stolen property. The victim, identified as Ronald McLean, of Artesia, was shot once in the head and succumbed to his injuries just before 2 a.m. Tuesday. 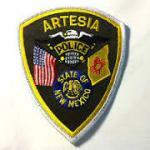 The suspect, identified as 25-year-old Ruben Lopez of Artesia, was arrested Tuesday afternoon without incident. According to the criminal complaint, after McLean was transported from the scene to Artesia General Hospital, officers made contact with his girlfriend, who advised the couple had been at home when a family friend, identified as Lopez, arrived and began yelling at the woman’s nephews. Lopez was subsequently charged with an open count of murder in the first degree and aggravated assault with a deadly weapon. He will appear for preliminary examination at 11 a.m. Wednesday, Oct. 4. At the time of last week’s shooting, Lopez was out on probation in connection with another shooting that took place Feb. 2, 2015, in Artesia. The victim in that incident survived, and Lopez was charged with aggravated battery with a firearm.